The former Tottenham Hotspur trainee spent three years at White Hart Lane and represented England at Under-17 level before being released in May 2005. He joined Grays Athletic, where he spent a season with the Essex club. Nicky was signed on a short-term deal by Paul Hart on 2 August 2006 following a successful trial period during pre-season for the 2006/2007 season. He was ever-present between the sticks during Paul Harts reign, becoming a crowd favourite and although he made sixteen appearances during that time, his opportunities were then limited following Hart’s departure. During Tony Godden’s spell as caretaker manager, Nicky fell behind Scott Tynan in the pecking order. His starts were restricted to League appearances against Weymouth, Dagenham & Redbridge and Oxford United and cup matches versus Altrincham and Scarborough. With the appointment of a new manager there will always be changes, and Graham Westley did not feel it to be in the best interest of the Club to extend Nicky’s contract, so he was released by Diamonds on 21 December 2006. 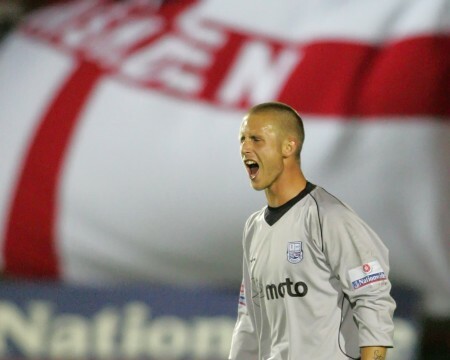 After leaving Nene Park, Nicky was the backup goalkeeper at Dagenham & Redbridge at the end of their promotion season to the Football League and then moved to St.Albans City for the 2007-08 season. After a brief period back at Grays (on loan) he joined Conference South side Bishop’s Stortford during the 2008-09 season before losing his place due to a groin injury. He joined Conference South side Chelmsford City on 24 March 2010, but was released at the end of the season. On 3 September 2010, Nicky rejoined Conference South side Bishop Stortford, but lost place in the team after a groin strain. On 14 October 2010, he joined Isthmian Division One North side AFC Sudbury. He rejoined Bishop’s Stortford (dual registration) in April 2011, and although he planned to rejoin Chelmsford City at the end of the season, he moved back to Bishop’s Stortford in July 2011. 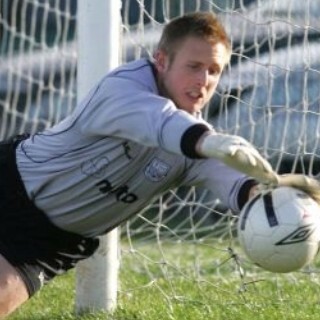 After spending the season with the Bishops, Nicky joined Isthmian Division One North side Heybridge Swiftson 8 June 2012. In November 2013, Nicky made the decision to leave the Swifts and on 12 November 2013, joined fellow Isthmian Division One North side Witham Town. Coaching and family commitments meant he was unable to stay at Witham, and he re-signed for Chelmsford City at the end of March 2014. He quit the game early in the 2014-15 season to focus on a Goalkeeper glove business.